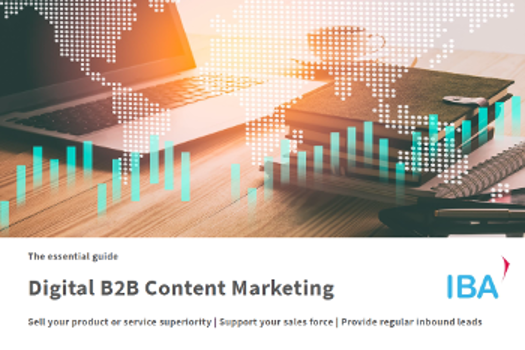 B2B content marketing is fundamentally different to B2C. The prospect profiles are different, the motivations are different, the sales funnel is different. IBA has experienced the difference first-hand, running content marketing campaigns with some of the world's leading B2B companies. We're happy to share our experience. This essential eBook will help you quickly build a strategy to integrate your inbound and outbound marketing and boost your success rates. Whatever the size of your business, if you need to generate more inbound leads create more engaging content and drive traffic to company assets download the guide now.